While reading stimulates the intellect, and music-listening provides stimuli of powerful emotions that make us feel alive, the audio/visual entertainment, on the other hand, constitutes an artificial experience package, and aims at engulfing its participants with adequate sensory stimuli to evoke as high a degree of a sense of reality as possible. 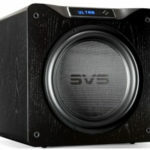 As the latest in video entertainment promises to replicate all the details of the real world and transport sights afar onto the TV screen, legions of audio companies have also allied themselves with the home entertainment industry to provide surround sound technologies for engulfing the viewers with a 360° wall of sound. It is indeed rewarding to be able to experience the sight and sound of Safari in the comfort of one’s own home, or to tour a foreign land without having to deal with the methodical, nerve-wrecking packing and unpacking of your wife’s fleet of luggage. The surround sound recreation of a concert hall experience, however, does not achieve the same effects as a 2-channel recreation of it does. While one is attending a concert, he/she is submerged in a surrounding that provides powerful visual stimuli, such as the musicians’ activities on stage, the visual ambiance of the hall, appearances of his/her fellow patrons, etc. It is only ironic that the concert hall is designed and built to purvey the auditory experience, and the overwhelming stimuli provided by both the audio and visual experiences always wear off much sooner on some patrons than the players on stage would prefer. Many patrons find it utterly irresistible to fall asleep in the comfortable ambiance and temperature of the concert hall, what with the beautiful sound of instruments at your ears. Composers and organizers realized that and the only thing they can do to keep you awake is to devise fortissimos and loud passages. Try as much as audio companies may to accomplish a 3-dimensional recreation of the performance on stage into our own homes via multi-channel means, such experience does not provide the most satisfaction to many audiophiles without the accompaniment of other important sonic attributes as well. It is because the sonic aspects of dimensionality are never prominent during a live performance, when the audience’s senses are inundated with visual cues. Likewise, experiencing acute aural dimensionality recreated at home may not invoke the same level of satisfaction as in the live event, even though it may provide a cunning simulation of the venue. A competent stereophonic audio system provides lasting satisfaction to its user with tonal sophistication, a supreme attribute whose impact on the listener far outweighs the prowess of surround sound systems in existence. Emphasis on an instrument’s intrinsic tonal structure and textures represents the most effective means to captivate the listener in an audio-only experience. Coupled with attributes like expeditious dynamics and rich spatiality, the stereophonic audio experience appeals to the emotion and intellect of its audience with its sensuality and simplicity. Of course, if one also falls asleep listening to his own stereo system, then he is probably suffering from sleep deprivation. The fact is, claims from inumerous audio companies of their systems’ ability to reproduce live music events faithfully have been deliberated in such multitude of venues that such claim has lost its relevancy wherever it is repeated, until one hears the Audio Note ONGAKU. The degree of engineering excellence that Peter Qvortrup and his engineers put into his $79k ONGAKU is astounding. While it is true that the shorter a signal has to travel, the less loss it will suffer, this is an oversimplification of concept created for illustration ease. Simplicity of design may be a common goal to all equipment makers, it is a concept far more involving at Audio Note. A much over-generalized concept, simplicity is a carefully considered strategy to Audio Note in its product development efforts. Having auditioned the company’s fleet of products, including DACs such as the DAC One 1.1x Signature, DAC5 Special and DAC5 Signature, preamplifiers such as the M3, M5, M8 and M10, and speakers such as the AN-E/L, AN-E SEC Silver and the AN-E SEC Signature, I have come to realize that Audio Note has never shown to simplify the painstakingly conceived design of its products merely for simplicity’s sake; in fact, Audio Note has demonstrated to view simplicity macrocosmically for the integrity of its designs. Hence, the fact that all Audio Note product runs have remained competitive and sometimes last more than five years is not only a powerful indicator of the market at work, it is also representative of one of the most enduring model of engineering simplicity at work. To put it more succinctly, Audio Note’s products demonstrate that simplicity is a powerful concept achieved through a well-developed and engineered product, representing not necessarily a reduction in part counts but the most balanced and complimentary component interaction, and thus is only to be achieved in concordance with any component necessary and vital in contributing to the most sophisticated and superior sonic makeup. Q: Is it correct to assume all tubes used on the ONGAKU are extremely rare and are of NOS, except for the two Jan Cetron 5R4WGB? A: All the tubes are new old stock that is true, they are fairly rare, but not exceptionally so, since it would be absurd to use tubes that are so rare that they cannot be replaced, as this would have a terrible effect on the resale value of the amplifier! Q: Is the UV211 the original GE NOS from the 1920s? My search shows that a pair of these tubes can be bought for about the same price of a pair of new WE 300B. Am I mistaken? What price can this tube actually command in today’s marketplace? A: Well, our VT4-C/UV211s are from some time in the 1940s, the VT4 dates back to 1919, and had a thoriated tungsten filament and a carbon anode in 1924 or there about. Q: What are the considerations for choosing the UV211 for the ONGAKU? 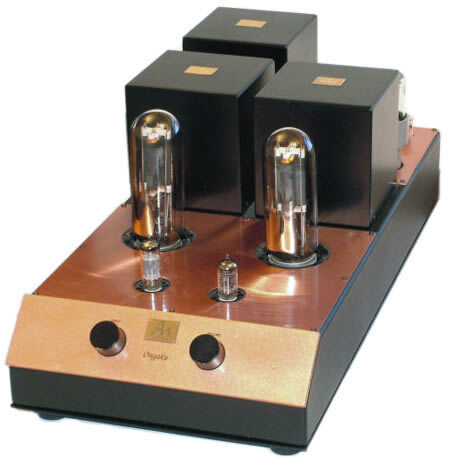 A: Whilst there were a number of considerations, it is important to first of all point out that there is a limited choice available when one wants to design a single-ended triode amplifier with over 20 watt power output and here there are really only 3 tubes available, the 211, the 845 and the GM70. To us the main consideration is always linearity and the three tubes above are really the only that can be used if linearity is the main priority. Second consideration is availability, and here the 845 drops out immediately, as whilst they are available from China in quantity, now old stock versions are getting very hard to find. So that left the 211/VT4-C as the only viable candidate. Q: Which design aspect of the ONGAKU are you especially proud of? A: The sound, I feel that we have broken new ground and “upped the ante”, so to speak on the competition. Q: Why is 211-based amplification design so rare in today’s market? a.) It is hard to design a wide band quality output transformer with a high enough impedance to get a combination of good transfer behaviour, low distortion and good low frequency (the transformer in the ONGAKU ended up being 16kOhms primary impedance and is very hard to make). b.) The high tension is 1500 volts in the power supply and over 1,200 volts on the 211 that is hard to handle in terms of layout and power supply design. c.) a and b above make these amplifiers quite costly to make and that limits the size of the market. To experienced tube enthusiasts, Peter’s choice of the Brimar NOS CV4068 at the input stage is to be applauded. Manufactured only by Brimar, the CV4068 is renowned for its delicate and extended top-end, as well as a substantial lower midrange. Driver stage is assigned to an original Telefunken diamond NOS 6463 double triode, driving an in-house designed and made transformer: an 1:2 Audio Note™ silver-wired Perma 50 Nickel HiB double C-core Super-radiometal transformer. Two more of this transformer handle the 2-channel output as well. 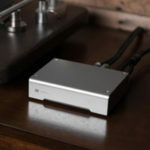 A higher-grade transformer, namely the AN Super Perma 55% Nickel Super-radiometal, does exist but is reserved for the M9 Phono and M10 preamplifiers only. Power rectification on the ONGAKU is carried out by two NOS 5R4WGB. Audio Note™ tantalum resistors and Black Gate™ electrolytes are applied in full force. It is noteworthy that all of AN’s upper models are fitted with corresponding versions of the double C-Core type of transformers, such as the 36% Nickel iron and the 48% Nickel iron Super-radiometal. They are able to sustain 30% higher voltage than the IE transformers at identical windings, thus resulting in 70% increase in power. 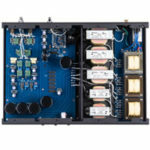 Even more noteworthy is the fact that Audio Note is the only audio company having invested into developing a full, in-house facility to design and manufacturer transformers with proprietary winding techniques for its own products. The ONGAKU’s volume control is the exclusive, in-house designed and manufactured 100kΩ, 23-step, silver-plated copper type with Audio Note™ tantalum resistors. Three AN-CS Teflon-insulated silver-plated RCA inputs are situated near the ONGAKU’s front plate on the left side panel, while a bi-wiring pair of AN-STG nickel-plated ground terminals adorns the very rear of the top plate. The ONGAKU also has no balance control. 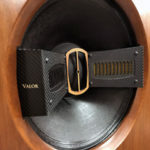 It is conceived in such a way that it would become a power amplifier with no input selector and volume control if it were to be re-wired to facilitate a balance control. If one is to examine the ONGAKU’s top plate closely, random wrinkling patterns can be seen embedded underneath the bronze-color top plate. Per Peter, the top plate of the ONGAKU is new and made of copper. However, due to the extreme sensitivity of copper to touch, even the slightest handling before the lacquering process will manifest into pattern of sorts under the lacquer. Hence, after months of trial procedures which resulted in top plates with similar patterning, Peter and his staff desisted on the effort and sent the ONGAKU out. Apart from the fact that the ONGAKU outputs 25 watts per channel, weighs over 100lb, measures over 2 feet in chassis depth and is the largest tube amplifier I’ve seen thus far, Peter declined to provide full technical specifications on the machine on the premise that measurements are meaningless, and that patrons who are able to invest into the ONGAKU will undoubtedly audition a store demo in their system first to determine compatibility. Whether or not empirical laboratory measurement on the ONGAKU would represent an affirmation or disgrace on the considerable efforts put into its creation, specifications are a useful tool in many ways, not the least of which being a means for comparison. Perhaps there is logic after all to the often-heard rationalization that, he who plans to own an expensive SET is not 100% ready yet if he is actually more concerned about its performance on paper than its performance in a system. Or even that patrons who are willing to spend $80k on Peter’s ONGAKU are likely those who share many of his priorities and values in audio. I would think that any readers planning to purchase an ONGAKU will understand the importance of auditioning it beforehand, which is a prudent practice regardless how much you are planning to spend. In this sense, technical specifications often become secondary in the greater scheme of things. Of course, if one who is planning to get an ONGAKU is so rich that $79k represents only chump change, his focus will likely not be on how well the amplifier performs on paper but in his system.